As European countries have a rich history and diverse culture, they also enjoy a lot of festivals in their life which could be traditionally originated or newly created from changing social conditions. We will introduce famous and recommendable festivals which you can visit during your travel in Europe. The largest fire festival in Europe. They celebrate their own community's tradition of Viking heritage. Torchlight parades by local people with traditional costumes take place and they burn a Viking boat as a symbolic meaning. It is a Christian feast day for the incarnation of Jesus Christ. 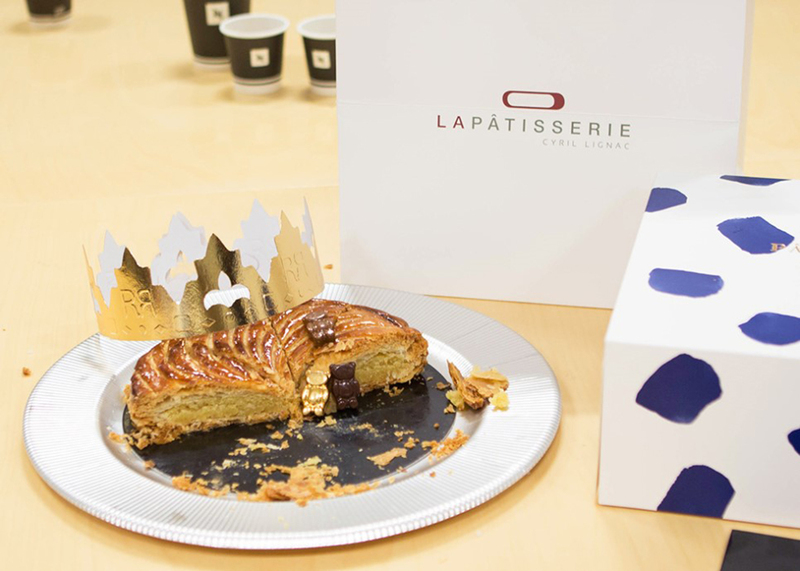 In France, they celebrate as Fête des Rois and in Spain as Los Reyes Magos. On this Epiphany Day, in France, children can eat the special King Cake named GALETTE DES ROIS and one of the participants who find the jelly or toy inside of the cake is declared as a King for the day. The world of lemons is organized with processions of floats, gardens of lights, and giant exhibitions. They actually use 120 tons of lemon to decorate the city and it is the second largest event of France Riviera region. Each year, the theme of the festival changes. For the year 2019, the theme is 'Fantastic Worlds'. Imagine the amazing and colorful parades and spectacular fireworks at the end of the winter. The theme of carnival changes every year and the one for 2019 is 'King of Cinema'. On the final night of the carnival, the sculpture of the king is put out on the sea on a little boat and burned out with the traditional fireworks. As Nice is 30 minutes away ride from Menton, we would recommend you to visit both festivals at once because they are held during approximately the same period. The whole city is transformed into a masked ball. The Carnival of Venice is like fairy tales and fantastic worlds with their valleys bridges and boats. You can enjoy a candlelit parade of boats, concerts, and street performances. And with a special ticket, you can be one of those who dance in the luxurious masquerade balls. Many other places in Italy celebrate carnivals with parades and balls before Ash Wednesday. During Festival of Fire of Valencia, Las Fallas, the artistic statues made by craftsmen and artists are displayed on the street of the city. Those figures are depicting main political issues as satire or pop-cultural characters such as the Disney scenes. During the last days of the festival, the statues are burnt down and the huge and spectacular fireworks will decorate the sky. A pagan festival to celebrate Easter. Especially the French way of celebration is all about wearing beautiful and huge masks, eating delicious pancakes, waffles and crepes days and nights. Carnival parades take place in many cities. If you missed, the world-famous carnival in Venice you can try this one. During two and a half days, the town is full of people wearing masks and their splendid and mysterious costumes. You can dress in eye-catching costumes or you can take a photo with those colorfully dressed people. It is an official Irish holiday to celebrate the death of Saint Patrick. But the main theme of the festival is a celebration of Irish culture. The city is full of parades, music, dancing, and concerts. The green color that everyone is wearing during this festival is the symbolic color of Irish state funeral. You can see bloomings tulips at 85 locations in Amsterdam. There is a worldwide famous tulip festival held at Keukenhof. You can enjoy millions of multi-colored flowers blooming in this park. Feel yourself the upcoming warmth with the flowers. Additionally, there is a parade from Noordwijk to Haarlem (42 km) of staging giant dolls made of flowers. In 2019, the Dutch Flower Parade will be run on April 13th. It is called Semana Santa in Spain. As a Catholic country, Spain has a traditional festival to celebrate their religious days. The citizens carry the statue of their church's patron saint and walk around the city. Portugal also celebrates Semana Santa in a similar way so we recommend watching their ceremony once in either country. 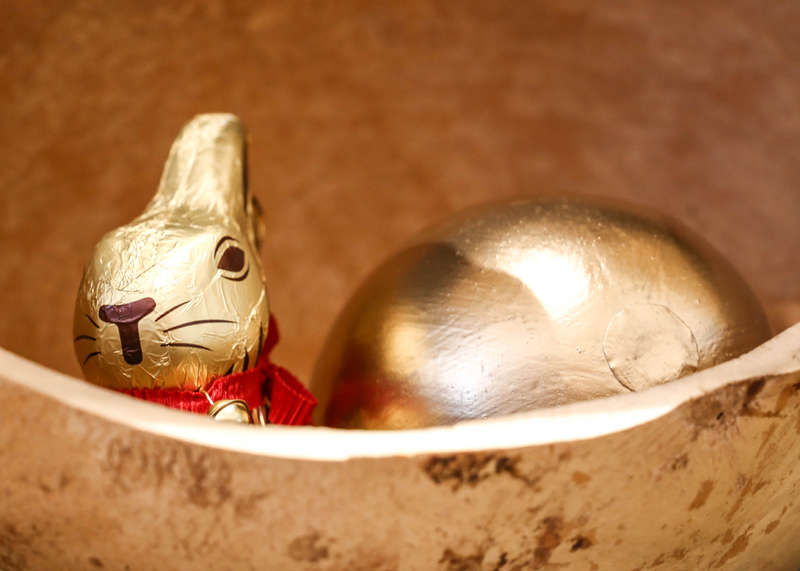 It is a Christian celebration which is also well-known for kids' activities of searching for hidden chocolate eggs in the gardens. From the end of March, in several sites of each city, they held some events to celebrate Easter such as Easter games, Easter egg workshops, egg hunt, etc. And on Easter Sunday you might hear church bells for a long time which is a sign of religious celebration. Street parties, flea markets, fun fairs, and crazy activities. A majority of people dress up in orange and celebrate King Willem Alexander's birthday. The king travels through the country with his family each year. The five most active cities during this day are Amsterdam, The Hague, Rotterdam, Utrecht, and Eindhoven. One of the Spanish traditions and cultural festivals in which you can experience traditional lifestyles of Andalucia, Spain. The locals dress up in traditional mode and the horse carriages stride down the street. You can also enjoy the spontaneous flamenco performances on the streets. 5 weeks musical events are held in the city of classical music, Vienna. 30 productions from the areas of music, dance, theater, and performance take place in magnificent buildings of Austria. You might fall into this classical and luxurious atmosphere. You can enjoy an exciting show of folklore and tradition of this town. An ancient ceremony that was established around 1000 A.D. is displayed during the day. Venice shows their nautical talents with a huge procession of rowboats. There is a boat race from St. Mark's to St. Nicolo during which a golden ring is thrown into the waves at the climax. 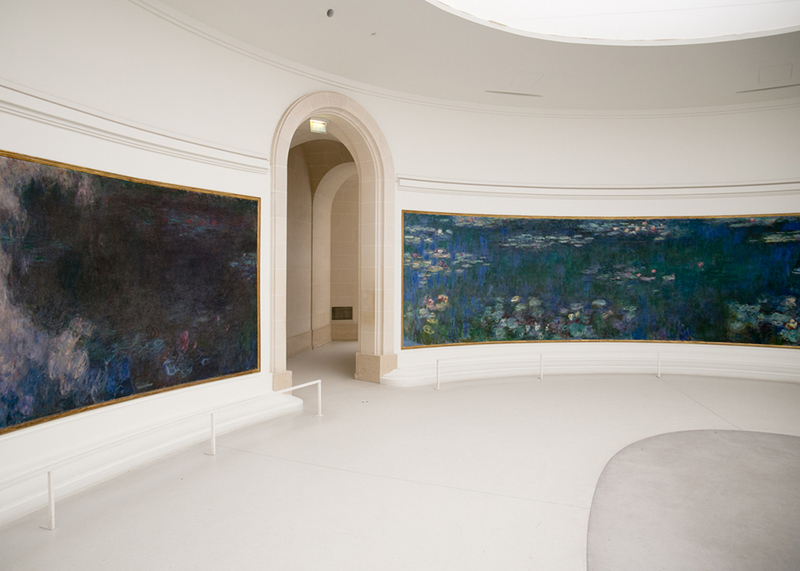 Over 1000 museums of French museums will be open all night and some of them will even host numerous events like treasure hunts, concerts, light shows, etc. Also, most of them will offer a free entrance from 6 pm. 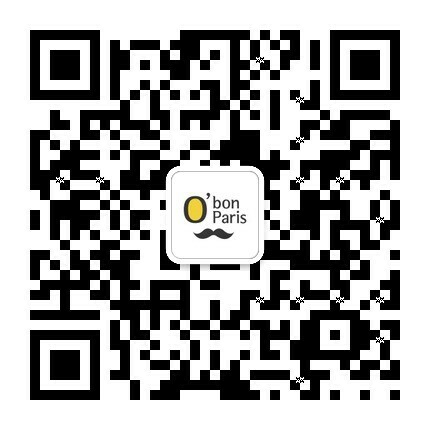 As all the museums of other European countries can participate in the event, you may check in the websites to see if there is any event going on the day. The herds of sheep begin their long journey toward the high mountain pastures. Goats, donkeys, sheepdogs and their shepherds accompany their journey. So you can see sheep at a closer distance. On the afternoon, you may enjoy the demonstration of the training of sheepdogs. 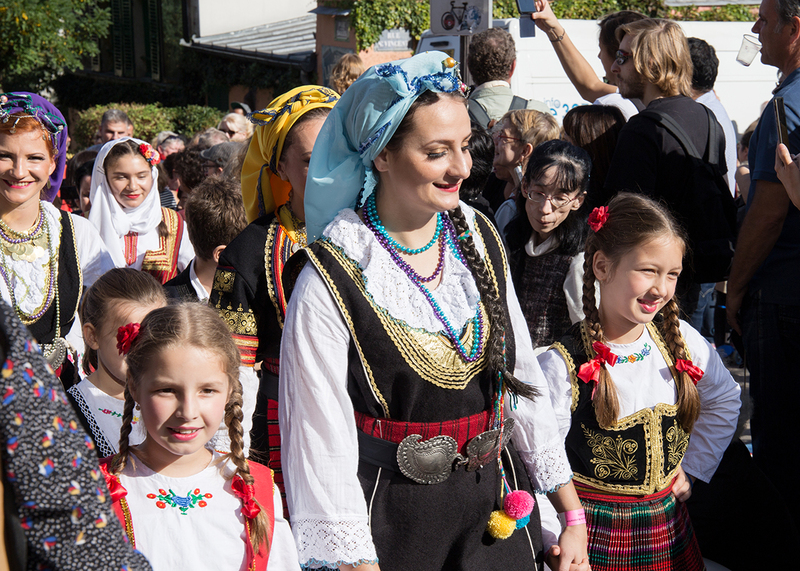 Traditional costumes, folk music, cheese take part in the festival. 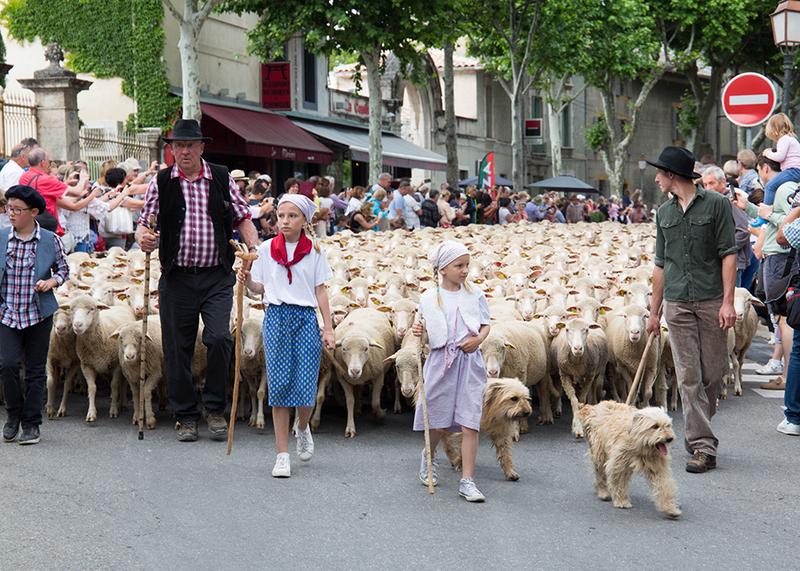 In the case of Madrid, there is a parade of sheep coming down from the mountain. It is a historical and religious event to commemorate the coronation of Charles VII in Reims Cathedral. The town turns into a medieval village during the festival by their decoration, medieval costumes, etc. Many family activities are also organized. The residents of Provence region dress up in traditional costumes. And, especially, the Arlesian costumes are delicate, elegance and original. Arlesians are usually very proud of their own traditions and to protect them they elect someone who represents their local culture as their Queen of Arles every three years. It is the biggest medieval festival in France. A lot of locals and visitors are dressed in medieval costumes to fully enjoy the experience. You can enjoy seeing others' costumes which are alike with the appearance of medieval French people. Also, the village is decorated with medieval weapons, carriages, tents, etc. There are several spectacles, plays, shows, and entertainment that you can enjoy with your couples, friends, and kids. The word 'infiorata' means 'decorated with flowers'. Italian towns are decorated with beautiful flower petal mosaics. If you visit some villages during the Infiorata period, you will be on a road full of scents and colors. 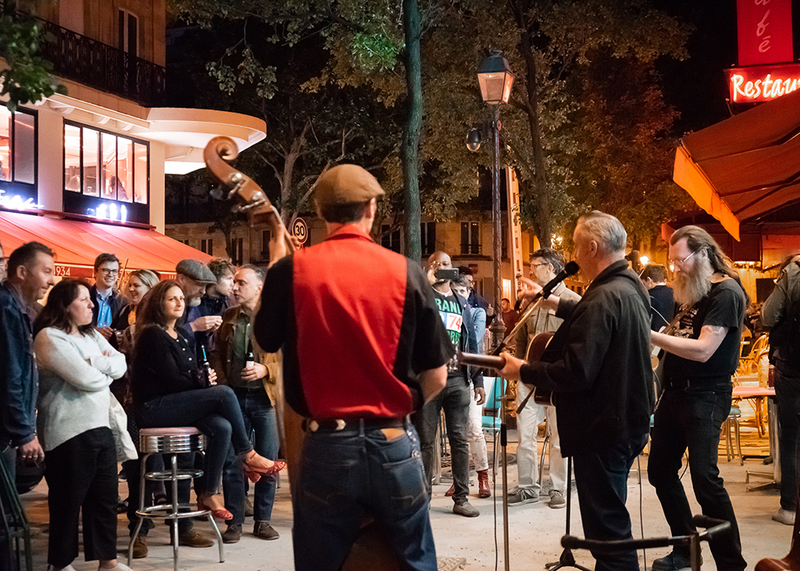 All over the city's streets, music takes place during the whole day. Live bands, singers, amateur musicians, drummers join themselves and enjoy the play surrounded by the crowd. As it is open to all music, you can participate if you want to. It is free for the public to enjoy their performances. It is a Catholic festivity to celebrate the birth of Saint John. Many countries actually celebrate the day in their own ways. In certain towns of France, the locals build a tall bonfire. People gather in the main square of Haro region for the wine battle. People who participate in the battle usually wear symbolic clothes of La Rioja; a white shirt with a red handkerchief tied around the neck. 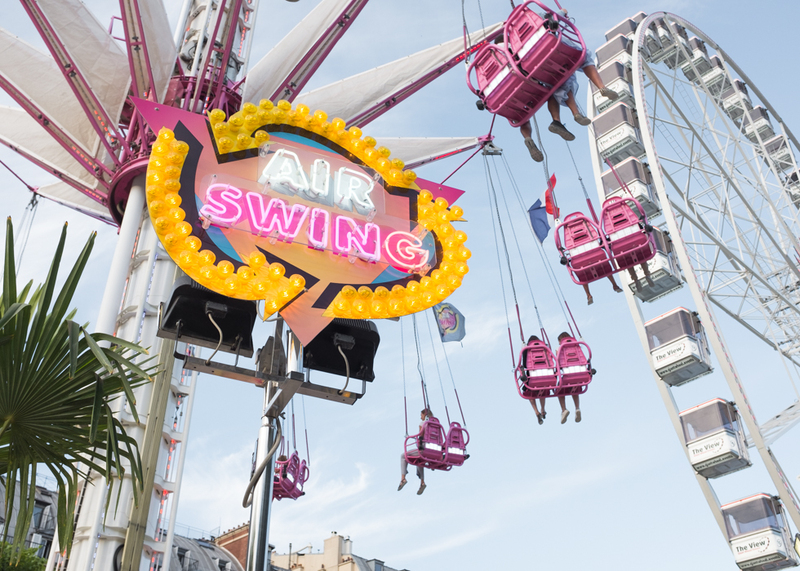 There will be traditional funfair in the middle of a tourist's spot in Paris, the Tuileries Gardens. They host several attractions such as bumper cars, hall of mirrors, ghost trains, giant slide etc. You can enjoy yourself with your friends, boyfriend or girlfriend, family and kids. The entry is free of charge but there is a charge for the rides. It is one of the biggest international contemporary live performance events which is founded in 1947. For a long while, it has been loved by global performers from the field of dance, theatre, music, and cinema. They gather each day, perform their arts, and share their experiences with other artists and the audience. 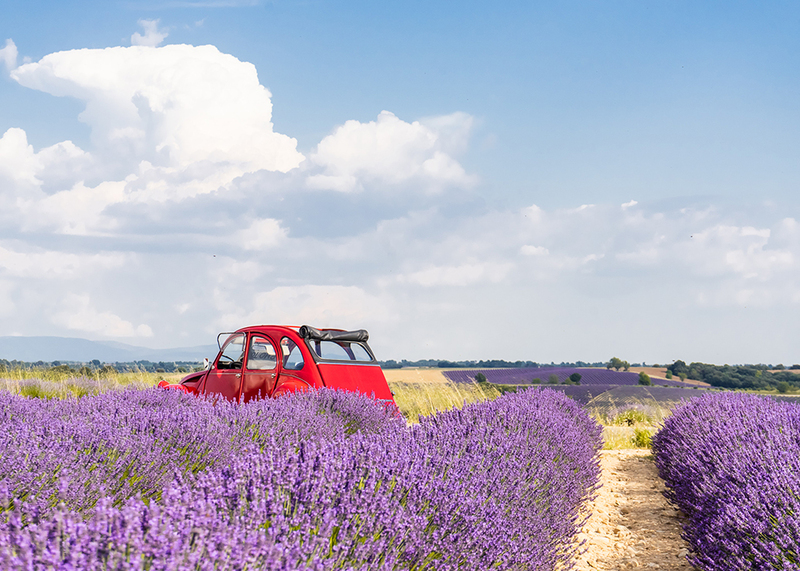 Provence lavender fields in France annually attract a lot of visitors. During the festivals, there is a huge amount of locally produced lavender products to sample and to buy such as lavender soap. Not only buying stuff but also enjoying local traditions, food, music, crafts will be a great enjoyment. The most brave-hearted and adventurous people are welcomed to the bull running ENCIERRO and bullfighting festival in Pamplona. If you don't want to join the run, you can just book a room from which you can see the people running in front of bulls. Also, there are many places that you need to visit in the city such as university, cathedral, museums, etc. And there is the monument of the Encierro that a sculptor designed for symbolizing bull running. It is an annual international arts festival, including classical ballet, opera, and music events. It is like a public gala of cultural events. Tickets of the performances are usually sold out in one or two months before the date. So, we recommend you to check the availability in advance. And Saint Petersburg's Palace Square becomes a stage for international popular music stars and carnivals also takes place in several places in the Peterhof. At London's Hyde Park, one of the tourist sites and locals' shelter, there will be an event of music and entertainment series during the summer. The legendary headliners support the festival and famous rising stars such as James Talyor, Bruno Mars, Michael Buble will perform on the stage. 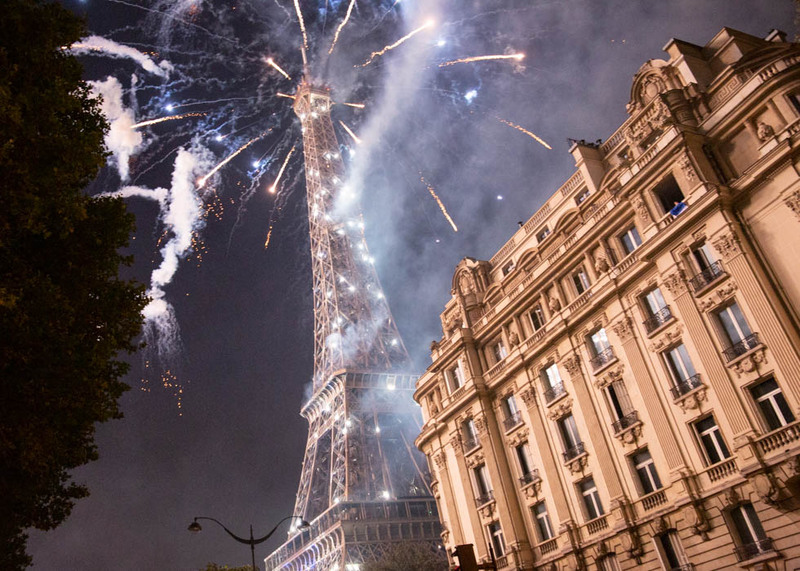 It is a French national day which is considered as the symbolic day of the French Revolution. In 1789, the storming of Bastille signaled the first victory of the public against a symbol of the old regime. And on July 14th, 1790 they celebrated the first anniversary of the revolt. As it is a significant day for French people within their national identity, there will be magnificent military parades and fireworks. It is a festival with a long history like other European festivals. Its origins can be traced back to 16th century. So, it is a 500-year-old tradition. You may see the crafts and giant dolls during the highlight of the celebration. The main event is the parade of the Gayant (giant) family including father, mother and their three children. 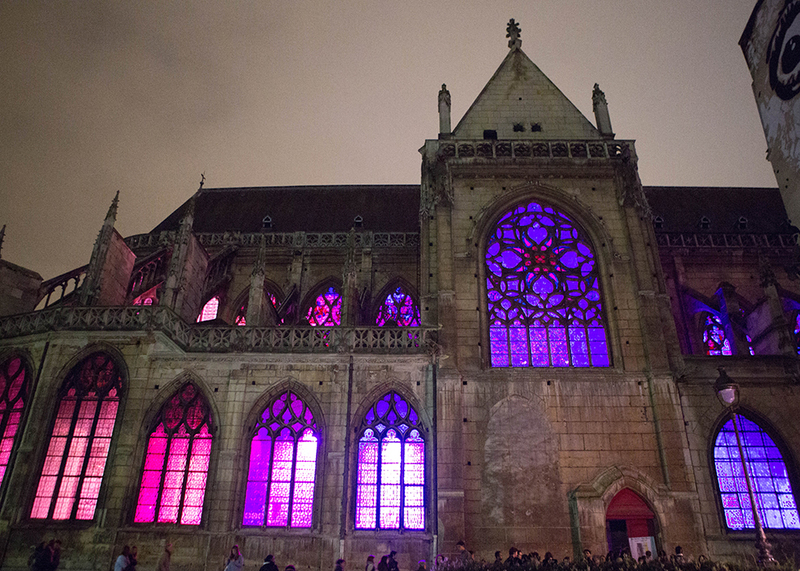 In several cities in France, there will be an illumination show. Usually, they shoot the lighting toward the main cathedral of the town directed with own story and magnificent background music. One of the world's largest and most notable music festival, Tomorrowland. It is an electronic dance music festival in the atmosphere of a fantastic world. In the last two years, 400,000 people joined the music festival. Also, its industry organizes some Tomorrowland events in other countries such as Germany, Spain, Lebanon, Malta, South Korea, and Taiwan. If you are interested, you have to first check the availability of the tickets because usually the tickets get sold out really quickly. 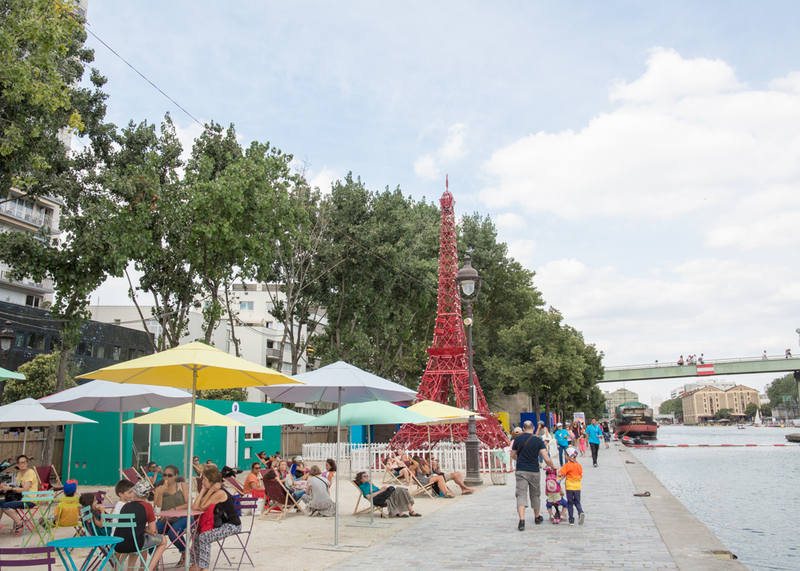 Enjoy the beach in the middle of the capital city of France, Paris. They create an artificial beach along the Seine river. So you can enjoy the sun right next to the Seine river and other attractive sites in Paris. Also, there will be playgrounds, bars, swimming pools in which you can have fun as you want. The main theme of the festival is the cultural traditions of the Celtic nations such as Celtic music, dance, arts, gastronomy, etc. Generally, on Sunday morning the spectacular parade takes place with over 3,500 musicians and dancers with traditional costumes on. There are almost 55,000 performances presented in the field of theatre, dance, cabaret, opera, music, and exhibitions. Not only professionals but also anyone who wants to perform can take part in the performance. The founding principle is its open access to non-professionals and their freedom of expression. There is also Princes Street Gardens Festival with peaceful and interesting enjoyment. Date : August 2nd - 26th, 2019. The fireworks producers from all around the world participate in this contest exhibition for four days. Therefore you can enjoy the loud and colorful nights on the Scheveningen beach. And you can also see fire eaters, jugglers, dancers on the street. There are also some sportive attractions and sites for the kids too. In Arles, the ancient heritage of Rome is still so intensely present and with its precious heritage, they celebrate the pleasure of discovery and sharing their old history. Every night during the festival, you are invited to the unimaginable setting of the ancient theater. The professional actors will perform at the theater and streets. It will be an educational and cultural experience for you. The worldwide famous band, the Beatles. You can commemorate their legendary performances by attending this international festival. You can enjoy the live music of the Beatles and of other bands. It is a festival that all Beatles fans must visit. There will be a massive flea market filled with Beatles goods. Worldwide known festival for the crazy tomato fights. Tons of tomatoes are used in the streets to be smashed and thrown to each other. As the number of people visiting this crazy fight has increased dramatically, they created an official ticketing system to limit the number of participants and to deal with the security problem since 2013. During European Heritage Days (EHD), they offer chances to visit buildings, monuments, and cultural sites that are not usually accessible to the public. It was started from France with the aim of widening access to the cultural and historical sites. Therefore, look out for the list of places which could be your special experience in each European country. The largest festival in Barcelona and Catalonia region. Feasts, concerts, parades, human towers, fireworks and fire runs are presented for five days. Many events of La Merce are held at various locations. Especially the fire run CARREFOC and human towers CASTELLERS are the great spectacle that you should not miss during this festival. You definitely can be part of this festival. 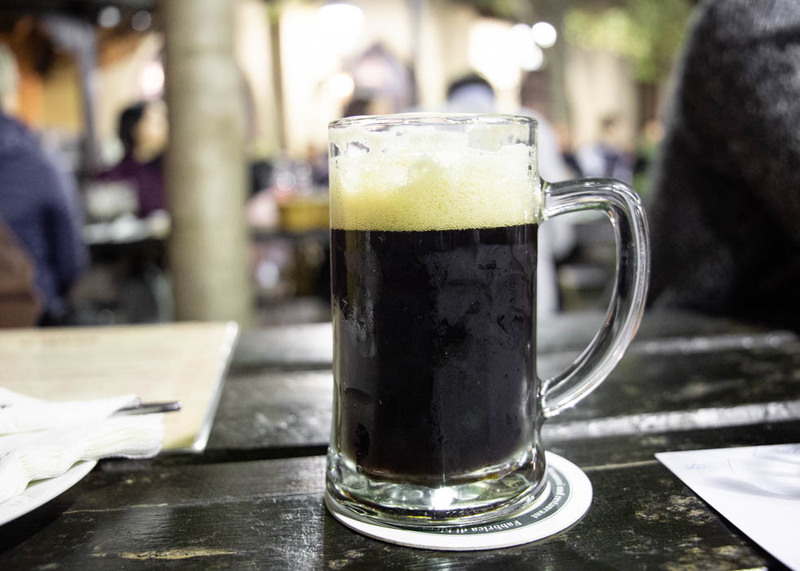 The big and small tents are established to celebrate their own traditional beer festival. Its origins go back to the year 1810 when the main activity was a horse-race. But today's Oktoberfest is known as drinking beers and enjoying other fun rides. The traditional costumes worn by people in parades and restaurants are also the main attractiveness of this festival. A near town from Barcelona, Tarragona holds the amazing festival of building human towers which is listed on the UNESCO Intangible Cultural Heritage List. The human towers are built by standing on the shoulders of one another in a succession of stages. There is also a competition for how fast and how strongly they form the tower. So you may see this performance that will make you amazed and at the same time anxious about wondering those people's safety. The only remaining vineyard in Paris is located in Montmartre. Every October, the festival is held for the harvest season of grapes to make wine. 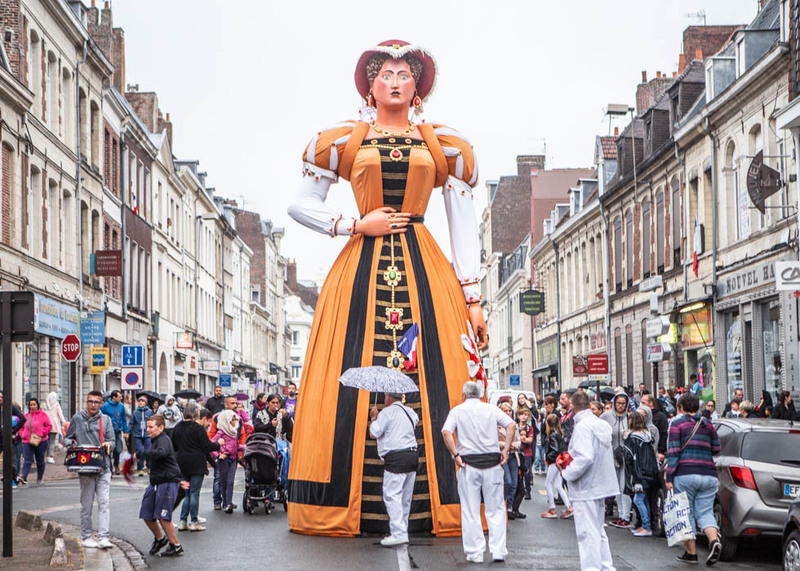 The parade is the main part of the festival in which people from other regions of France, and from other countries of Europe join. If you get hungry or thirsty, walk close to the Sacracle Cathedral where local producers are selling French snacks, food, and wine. There is a magnificent lighting show on the Notre-Dame de Paris Cathedral. Each year they perform a different show with a unique story. You might even think that each sculpture on the wall of the Cathedral is moving and acting like an alive statue. Don't miss it. It is free of charge but you have to reserve on their official websites to watch the show from a closer distance. It is a Pagan festival that became a Christian festival. People celebrate in honor of all the saints. Each country in Europe spends the day in different ways based on their culture and religious beliefs. In France, they usually bring flowers to the cemeteries on All Saint's Day called Toussiant. The chrysanthemum flowers symbolize happiness in the afterlife. It is a day for families to commemorate the members of a family. 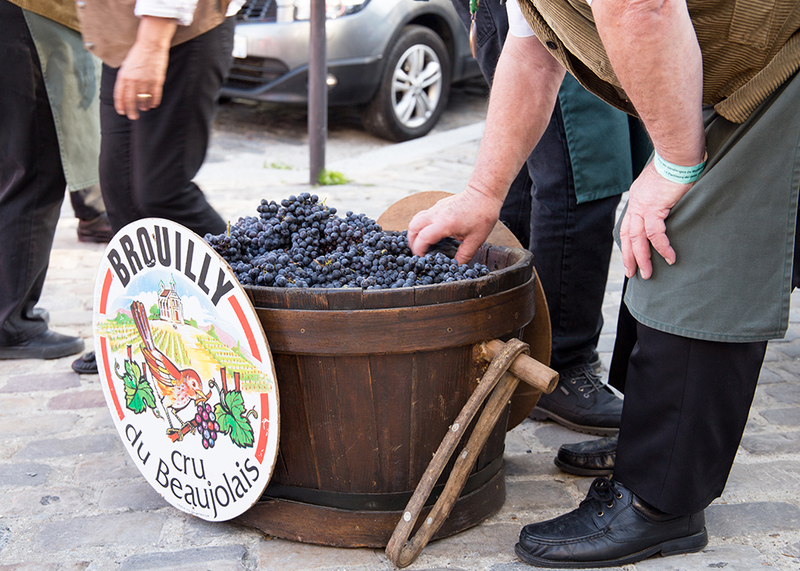 The region of France, Beaujolais, has been celebrated the end of the harvest by electing 'wine of the year'. 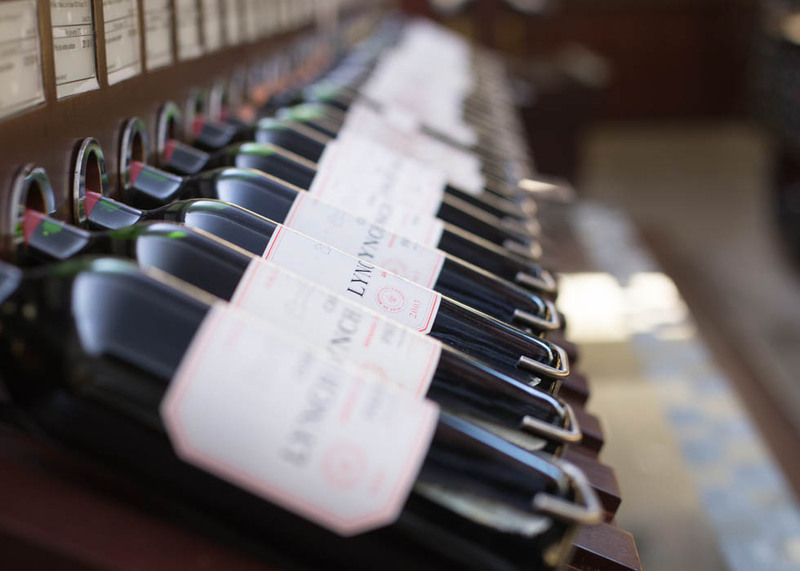 From the third Thursday of November, you might easily find the year's new vintage wine at bars, restaurants, and cafes. 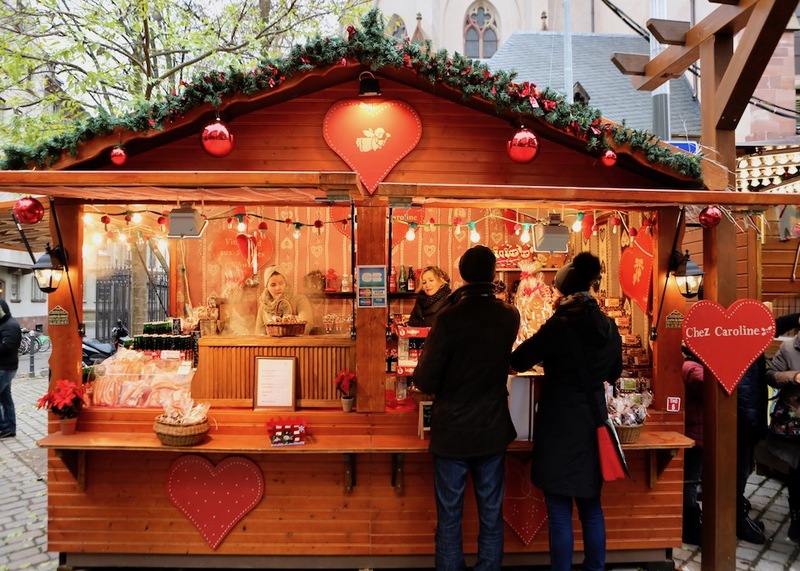 From late November, Christmas markets in Germany, Austria, France, Switzerland, the Czech Republic, etc. will open at the main squares of the cities. You can drink hot chocolate, hot wine, and beer and eat some cheesy bread and their own traditional Chrismas treats. Also, you can buy small souvenirs from the market. The whole city of Lyon illuminates itself with candles and lights with Christmas decorations. Almost 80 light projects shows are performed and almost 4 million people visit the city during the festival. You can enjoy the great combination of artistic performance and technical prowess. 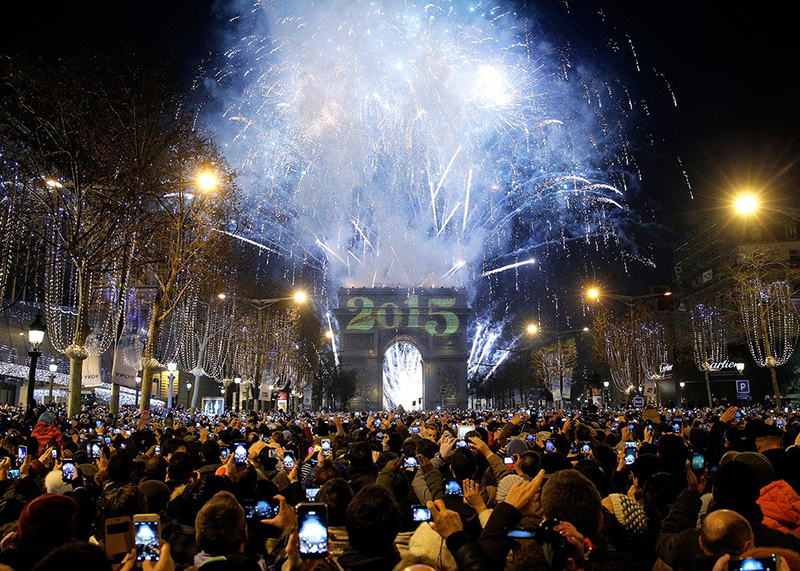 All around the world, we all celebrate the last day of the year. If you are traveling Europe around the last days of the year, you might be interested in the special ceremony of each country. In Spain, they ring a bell for 10 times while you have to eat grapes for each bell by hoping 10 wishes. In Paris, there will be a lighting show on the Arc de Triomphe. Also, in London, there is a fancy and powerful firework, welcoming a new year.